Woody Allen is a director I admire a lot. I think many of his movies are masterpieces that should be studied for their genius and great storytelling. I also admire his work ethic. He is able to write, direct, and release a movie a year for the entirety of this career. This pressure has produced amazing results like Vicky Christina Barcelona, Midnight in Paris, Crimes and Misdeamenors, Husbands and Wives, Annie Hall, and Manhattan. It has also produced lackluster dreck that probably should have never seen the light of day. Movies like Scoop, You Will Meet a Tall Dark Stranger, Deconstructing Harry, Celebrity, and Anything Else are great examples about how lack of creativity can produce terrible results despite a stellar cast and a genius behind the camera. These movies only should be seen by Woody Allen completists who hate themselves (aka me!). Since I hate myself so thoroughly I can now add another movie to the terrible Woody Allen list: Cassandra’s Dream. On paper this movie should work and work well. 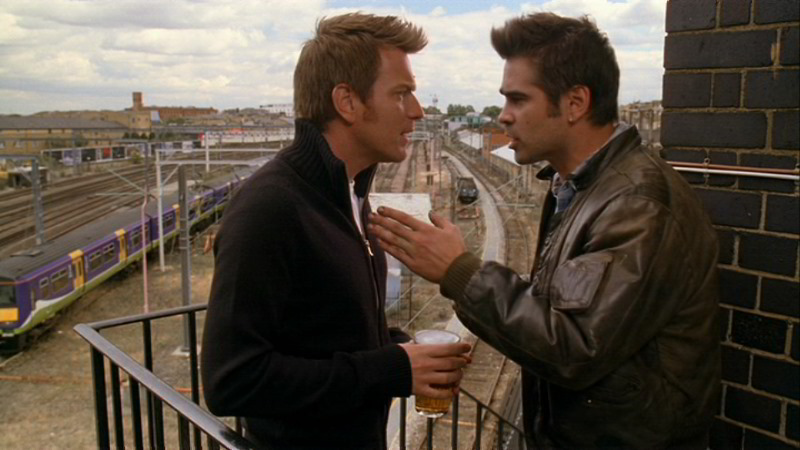 It has a stellar cast, with Ewan McGregor and Colin Farrell playing the main characters and Sally Hawkins and Tom Wilkinson rounding out the supporting cast. It has an interesting premise: two brothers who want to get rich quick (McGregor and Farrell) must commit a crime for their uncle (Wilkinson). This decision will ripple through their lives and tear apart every relationship they have ever had. The hook of this movie is that one brother is a Cockney mechanic and the other is a resturanteur who pretends to have a lot more money than he does. This gritty world versus fake upper class world dynamic falls completely flat and isn’t used to its greatest potential. Throughout the whole film, something just seems completely off. There is a tone that isn’t quite getting hit in the right area. When it is supposed to be full of tension, the air comes out of the sails by weird framing or odd language choices. When it is supposed to be a picture of ideal life, the picture turns sort of morose in its distance from the subjects. I don’t think this is helped by Philip Glass’s score. I have to admit that I am not the biggest fan of Philip Glass and his moody organ like music. It always seemed to studied and clinical for me. There isn’t ever any truly felt emotion, just a copy of one. (I know my opinion is controversial… Please don’t slaughter me Glass heads. I think that his scores can be effective given the right director) The music he plays throughout the film feels overpowering, morose and just plain depressing even when we see a happy moment together. I would only recommend this movie if you are a much suffering completist like I am. I warn you stay away from the pox that is Cassandra’s Dream.